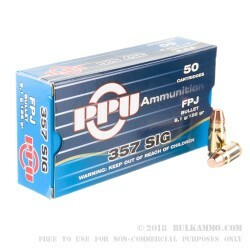 A fantastic deal on some great range 357 Sig ammo. 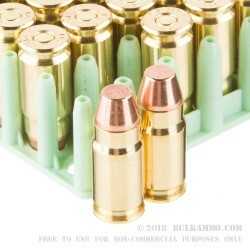 This caliber just happens to be one of the best duty and self-defense round innovations in the past fifty years with regards to posted ballistics in a handgun round. 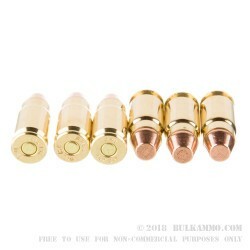 This is a powerhouse round for law enforcement, personal defense, or anyone who wants screaming fast projectiles that hit hard and don’t take up too much cartridge length. Sure, there is some snappy recoil and a bit of muzzle flip, but the tradeoffs are worth the performance. This ammunition will keep you on your game. If you haven’t found your game, these rounds will help you find it. This is a loadout by Prvi Partizan a Serbian maker that have been manufacturing military and law enforcement calibers since their inception and specializes in producing high quality, reliable rounds in brass casings with Boxer/reloadable primers that perform as well or better than already proven rounds available on the market at a lower price. 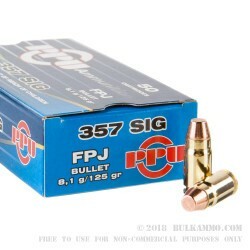 In this case, the 125 grain flat point full metal jacket round is a great target and training round for the .357 Sig round and will give you enough power to function your guns and feel good about your practice time, at a fraction of the usual cost.